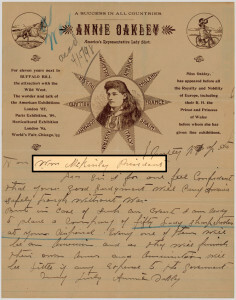 Right by my computer, on the side of the file cabinet, is a copy of the stationery of American sharpshooter and exhibition shooter Annie Oakley. It’s a beautiful example of Oakley marketing herself from 1898. We are always, in some ways, marketing ourselves. Even if we’re not entrepreneurs, “Everyone lives by selling something,” said Robert Louis Stevenson, author of Treasure Island. That seems to be a modern quote, but he died in 1894. Annie Oakley grew up dirt poor. After her mother was widowed, Oakley worked as a servant, and toiled in a home that treated her horrifically. When she was an adult, Oakley made the most of her sharpshooter talent by entertaining audiences in traveling shows. 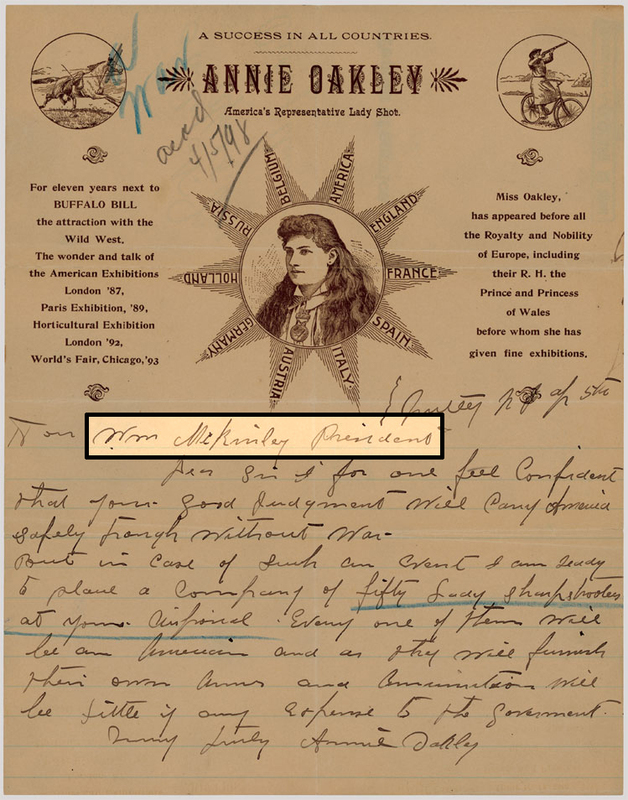 The copy of the letter I have is about Oakley writing to President William McKinley offering the government 50 “lady sharpshooters” who could provide their own guns and ammunition should a war breakout with Spain. There’s so much about her credentials that the blank space of the stationery begins halfway down the page. 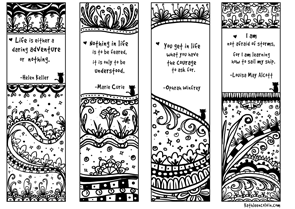 Marketing is difficult for everyone, but I think that women don’t learn to sell themselves as much as men do. We sometimes get caught sometimes in the stereotype of being too pushy, too aggressive, too something. 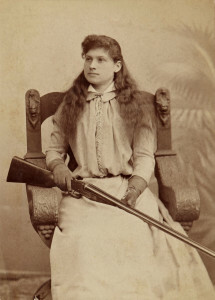 Annie Oakley reminds me that that it’s necessary to market, and that it’s okay.